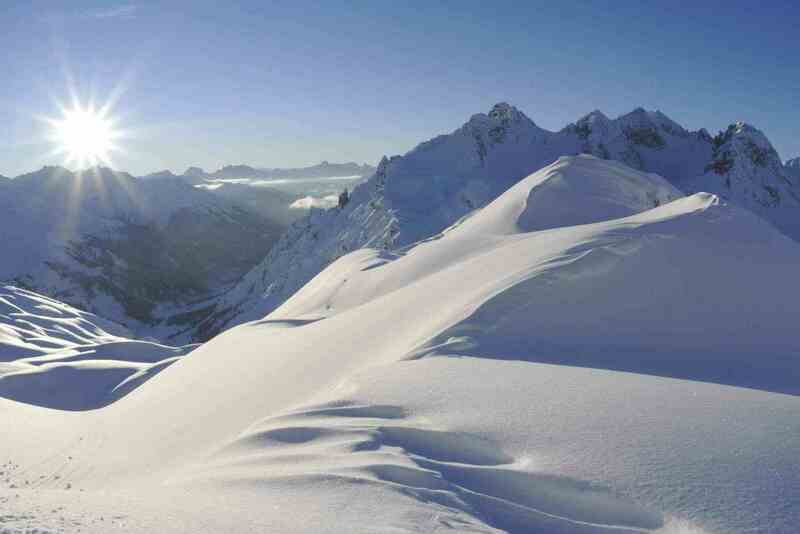 The Lech Zürs am Arlberg ski region is regarded as one of the top winter destinations in Europe. It has won many awards as a perfect destination for skiers and snowboarders, for freestyle skiers and heli-skiing fans. All those who want to explore the magnificent winter landscapes without boards beneath their feet will also find a wealth of delightful alternatives. Our team will be pleased to help you to plan your day. In any case you can rely on our ski guide Roman Dornauer. Thurnher's Alpenhof is your hotel right on the slopes. 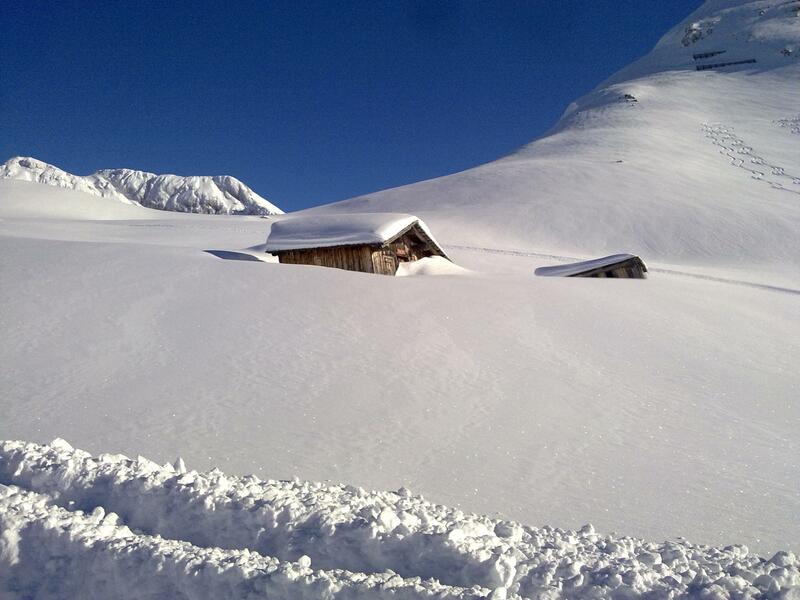 Unquestionably, the best spot for ski holidays in Austria! Top ski pistes, wonderful powder snow and Firn-covered slopes guarantee perfect skiing pleasure in the Lech Zürs am Arlberg ski region. And that includes the après-ski entertainment too. It’s a paradise for ambitious sporting enthusiasts and pleasure skiers alike. We are the only hotel in the Arlberg region to offer our guests the services of the hotel’s own ski guide. You can profit from his expertise and enjoy unforgettable hours on the slopes and in the deep snow. Away from the ski pistes and powder snow slopes the Arlberg region also scores with a very attractive range of winter sports and leisure opportunities – and a hint of adventure too, if you like! Ski paradise and rendezvous for visitors from all over the world who love the finer things in life: since Zürs am Arlberg was put on the tourist world map about a century ago, this cosmopolitan resort has been one of the top destinations for ski holidays in Austria and winter sports enthusiasts. Being part of a big family, we know what kids like. Benefit from our daily child care from 4 pm to 9 pm. We are offering different activities like a farm visit and even a joint dinner. “Get out of the hotel and into the ski pleasure" is the motto. You don’t have long journeys, no annoying transport of your ski equipment, no time to lose! With Thurnher's Alpenhof, your choice of hotel is right on the pistes. Just a few steps and you are in the middle of one of the most beautiful ski areas in Europe: around 300 kilometres of pistes and more than 80 lifts and railways await you. So, you can enjoy your ski holidays in Austria to the fullest and can discover this beautiful winter dream without detours for yourself. Without any doubt, we can guarantee there is no better place to go for ski holidays than in Austria near the marvellous Lech Zürs ski resort. Allow yourself to a lush and exceptional experience with us, fulfilled with hospitality from the heart and with exclusive moments thought for every single person, since each one is unique for us. Let Thurnher’s Alpenhof plan a memorable stay for you! Thurnher's Alpenhof - your family hotel directly on the pistes offers everything you could wish for in a relaxed and eventful ski holidays in Austria. Skiing under perfect conditions, ski tours with our ski guide Roman and always the beautiful Alpine scenery in view. In the evening you can recharge your batteries in our hotel right on the slopes. Thurnher's Spa invites you to wellness experiences in a modern ambience and the restaurant of our 5-Star-Superior-Hotel makes gourmet hearts beat faster.